You'll be pleased to know that we've survived most of the Maine end of the move. Our entire house is packed and loaded with the exception of our master bedroom and the nursery. If you use your imagination, I'm sure can imagine what type of day one might have with a 7 month old and a half packed nursery and a bedroom jammed with all the things 2.5 people and a dog need to function. But, despite the chaos, I can see the light. And that light is in Houston, Texas! Through some pretty impressive finagling, begging and perfectly timed flights, I managed to plan our exit strategy in Maine to include a weekend stay for the baby at his grandparents. Perfect, right? I'll hop on a plane from the grandparents and fly solo to Houston (insert fan girl squeal over the thought of reading a magazine in silence!). We're debuting the Willow Crowns 2015 Spring Line! Meet our new lace, Isla - she is truly spectacular and you must see her in person. Houston girls, I am dying to meet ya'll! 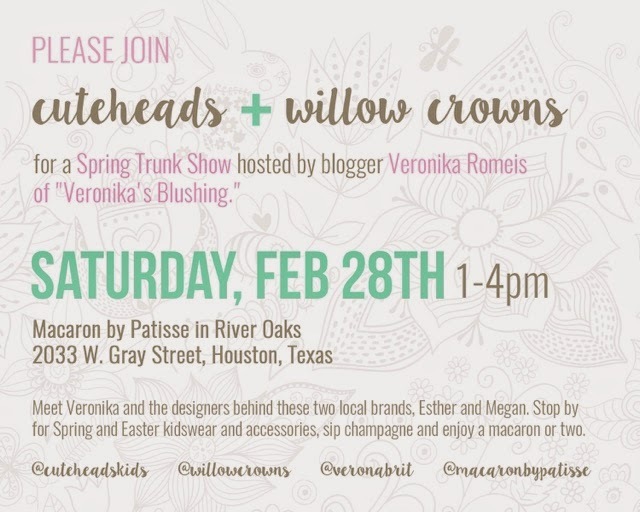 Megan and I will be previewing our pieces (with plenty of stock to send home with you sans pesky shipping costs) along with Esther of Cuteheads at Macaron by Pastisse in River Oaks. The event has a fabulous hostess, none other than Veronika of Veronika's Blushing! If all that name dropping doesn't convince to drop by, then I should mention that there will be bubbles. So come! Can't wait to see you and brag about my solo travel time! I love that you all embrace the chaos! I hope I can be chill and take it all as it comes when I'm a parent! Good luck with the move and have fun in Texas! 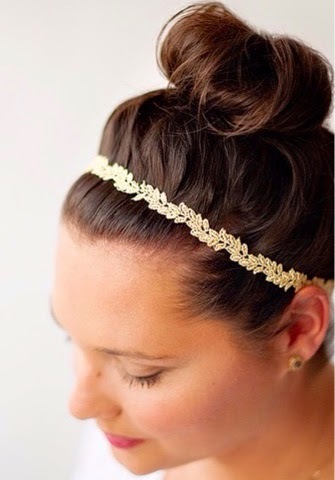 I think I might be adding some Willow Crowns to my snow day online shopping! Good luck at the trunk show this weekend!